Thank you so much for having me here today on the Christian Fiction Historical Society! I love Christmas, and thought I’d share something I learned during my research for the book I’m working on now. In the late 1800’s, many types of store-bought ornaments were hung on the Christmas tree. This surprised me because I always thought that people only put homemade ornaments on their trees back then. What I learned was that ornaments became popular in America around 1840 when many families emigrated from Germany and England to the U.S. In 1880, ornaments became a big hit when F.W. Woolworth reluctantly stocked his stores with German-made ornaments. By 1890, he was selling $25 million worth of ornaments at nickel and dime prices. My favorite ornaments to learn about were called gewgaws. Gewgaws are small, inexpensive items that added color and sparkle. One definition of gewgaws that I found described them as small, showy items that hold no other value than decoration. I decided to see if that meaning held true. 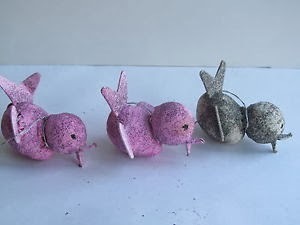 In my research, I found that gewgaws in the late 1800s included candies wrapped in shiny paper, gold-painted nuts, sparkly jewelry and little birds/animals made of colored paper or yarn. Candy canes and ribbon candy were also considered gewgaws. To me, gewgaws were more valuable than the German-made ornaments because they held special meaning to those who hung them. 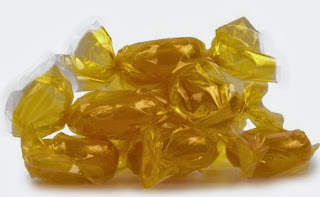 The children would eat the candy on Christmas morning or sometime during the day. 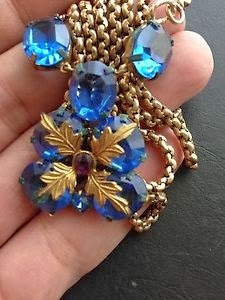 Often little girls or their mothers were given the sparkly jewelry as a gift from either parents or husbands. And I can imagine the children playing with the birds and other small animals made from colored paper or yarn. They created memories that lasted the family for many years. So the next time you hang a candy cane on your tree, remember it is actually a gewgaw and it is special. Not only does it make your tree look festive, it is also fun to eat. Though he'd never planned to wed, Daniel Westland must marry and produce a grandchild before his brother does in order to inherit the family ranch. Leave it to him to pick a mail-order bride who insists on being courted! What man sends away for a bride but doesn't really want to get married? Hannah came to Granite, Texas, hoping to find love and security, and she can't settle for less than a true partnership. 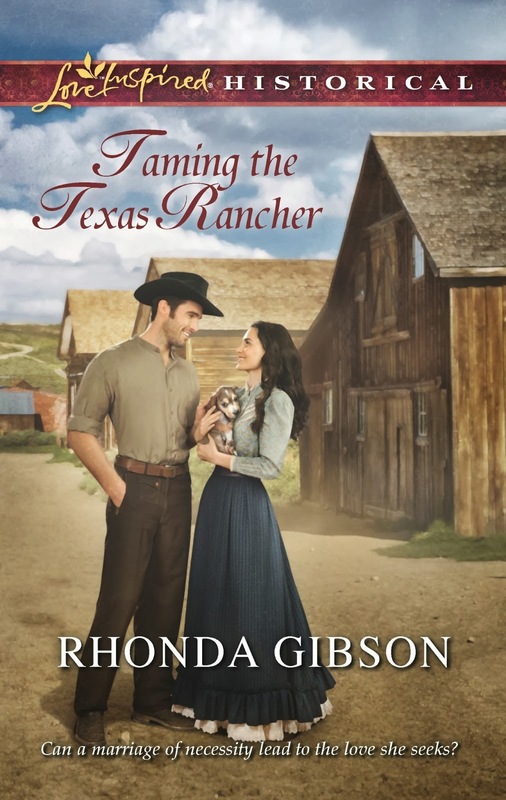 If the brooding, handsome rancher can just learn to trust in Hannah, their future could be as filled with promise. Very interesting! Thank you for sharing. I will always think of gewgaws when I see a candy cane. Too fun! A Christmas tree decorated with gewgaws definitely would be eye catching. I've heard my husband's grandmother use the word gewgaw, as in some little trinket, she'd say, "Aw, that's just a little gewgaw." So interesting! we always hang candy canes on ours, so now I will call them gewgaws!! This is a fun post, Rhonda. Thanks for sharing about gewgaws. I've heard it pronounced geegaws before but not the other way. Maybe it's a regional pronunciation. Good morning Everyone! Wow some of you were up really early! Have you ever tried the peppermint Tootsie Roll Pops. They only come out at Christmastime, but they are quite good. No! But I will have to try them! I bet they would make a cool gewgaw, too! Thanks!! I have a small ceramic "shopping bag" that holds candy canes at Christmas. The first thing our grandson did when he walked through the door on Sunday evening was to head straight for them and grab a candy cane. He said, "I knew you'd have these out for me." Wonderful traditions with grandkids. Hey Jackie, I have to admit calling them gewgaws has started many an interesting conversation at my house this year. The one with my seven year old granddaughter was super fun! Hi Vickie, thanks for inviting me to be here. I have to admit this is one of my favorite blogs to visit. I like calling them geegaws, too. I'm with you, I think it depends on where you are at in the world as to how to pronounce them. I love learning about etymology. Like Vickie M., I have heard the word geegaw before but never knew where it came from. I sort of thought it might be a southernism but obviously I was wrong. Isn't researching for historicals fascinating? Thanks for sharing. 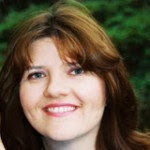 Hi Rhonda: Enjoyed learning something new. Might even need this infor sometime.Thank you for a chance to win your book. God bless. I'm glad Diane! and You are most welcome!! I've never heard the expression geegaws, so I don't think the expression is Southern, at least not in the Memphis area or North Mississippi. And gee and haw in my area is used to tell a work animal which direction to turn. :-) I loved researching where expressions come from, too. Welcome, Rhonda. Well, I'm from Texas and have heard the term geegaws used by my grandmother to describe something that was pretty, but not really of much use. :) Now I know the origin and what it represents. Grandpa was of German origin and he had some beautiful ornaments from his family that were used on Mimi's tree every year. I have no idea what happened to them. I have a few ornaments from the Christmas store in Oberammagau when I was there about 15 years ago and they are among my favorites along with the 2 nutcrackers from a Kathe Wohlfahrt Christmas shop from Rothenberg of der Tauber in Germany. Oh my, you've brought back some wonderful memories, Rhonda. Thank you. Hi Martha! I would have loved to seen your Grandpa's ornament collection. I asked my sister and a few cousins, but none of them know what happened to them either. Sure would be nice to find them tucked away at some distant cousin's house. I had no idea this was where the term gewgaws came from, nor that Woolworths sold so many of them by the end of the 19th Century! Me either Naomi until I was researching ornaments... The hero in my Pony Express Christmas book is going to give my heroine something special. I thought it was interesting that the article said that Mr. Woolworth "reluctantly" sold them. He didn't want to! My parents have a couple of bird ornaments like the ones in your photo except theirs are pastel. White and pink, I think. I haven't ever seen any others like them so it's fun to see them here. That is so cool, Pam! Now I know what that little bird ornament is that's been passed down in the family! Thanks for a fun, informative post. Is gewgaw pronounced phonetically, soft g "ew" and then hard g, "aw"? I've never heard this term or geegaw. I love learning about things from history such as this. Thanks for sharing! You know, Ronya... I'm not sure. I've not heard it pronounced. I have never heard the word "gewgaw" before. Thank you so much for sharing! Thanks Britney... I hadn't either until I started researching Christmas ornaments. It's amazing what I dig up.